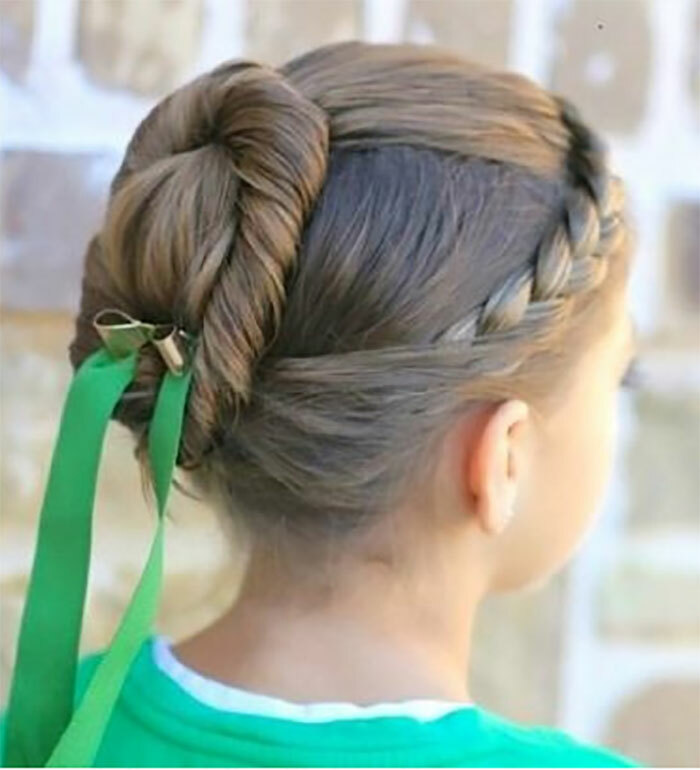 Home › entertainment › pictures › 12 Ideas For Girls Hairstyles, That You Never Seen Before! 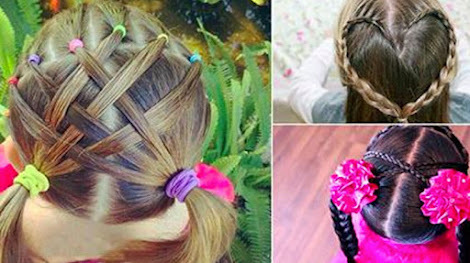 12 Ideas For Girls Hairstyles, That You Never Seen Before! You will be be able to recreate these fresh and innovative hair styles that will last all day long. Here are 12 unique hairstyles to get your creative juices flowing for a stylish and spunky new look. 1. 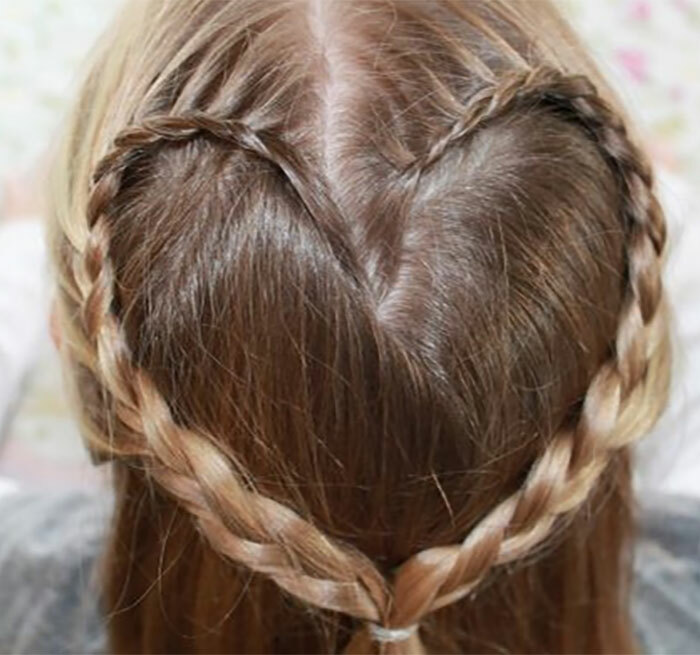 To add a new and exciting twist to a typical braid, this style adds a beautiful heart shape when connecting the two side braids together. 2. 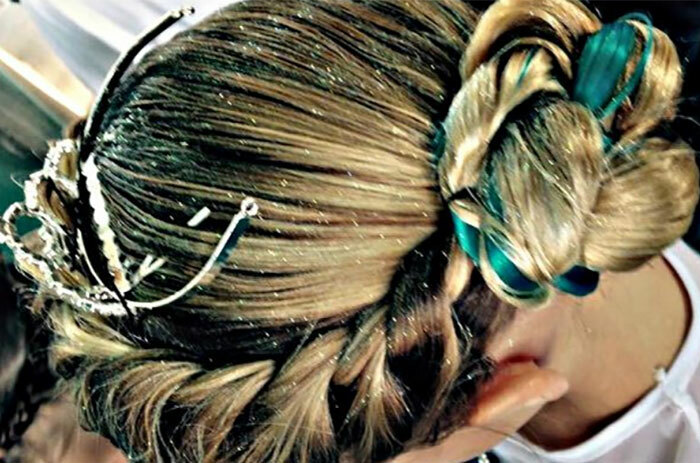 For this unique look, all you need a few handfuls of glitter to dust over a classic updo. If you're feeling extra daring, you could run semi-permanent hair dye on a few strands of hair for a pop of colour. If you don’t want to use hair dye, you can swap the dye for a colourful ribbon instead. 3. This is a beautiful hairstyle that incorporates several classic trends. 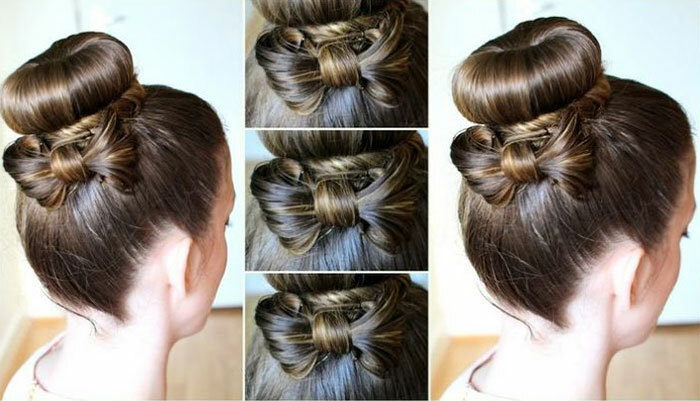 Leave a few strands of hair near the neckline to create an adorable bowtie in addition to a donut style bun. 4. Although this may look super difficult to achieve, its really simple. Simply create mini sections around the front of the hairline and fasten each section with a few colourful hair ties. Then, make two ponytails with the remaining hair near the back the head and crisscross the mini sections into the opposite ponytail. 5. This is another intricate hairstyle that is easily achievable. 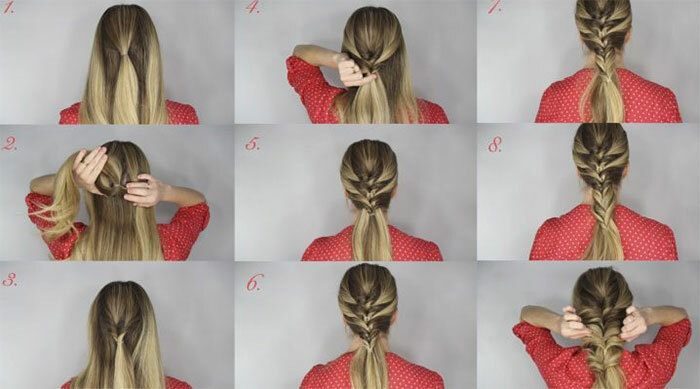 Simply make a one sided braid with your bangs to cross over to the other side of your head. Then, create three sections for three ponytails, one on the crown, one in the middle, and one at the nape of your neck. Twist the middle ponytail to create a circle at the back of your head. 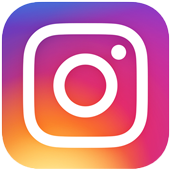 Filter the top and the bottom ponytail through the circle and attach at the center. Then, add a colourful bow of your choice. 7. Similar to the previous style, this one adds a little more volume to your low bun. Simply Make to ponytail style braids and loosen them for a messier look. 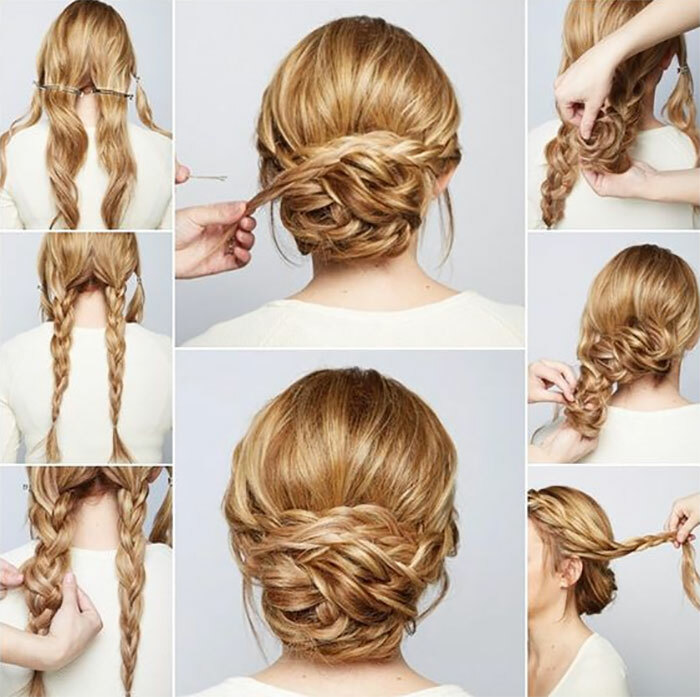 Then, twist one braid at a time and pin it to the other side of your head. 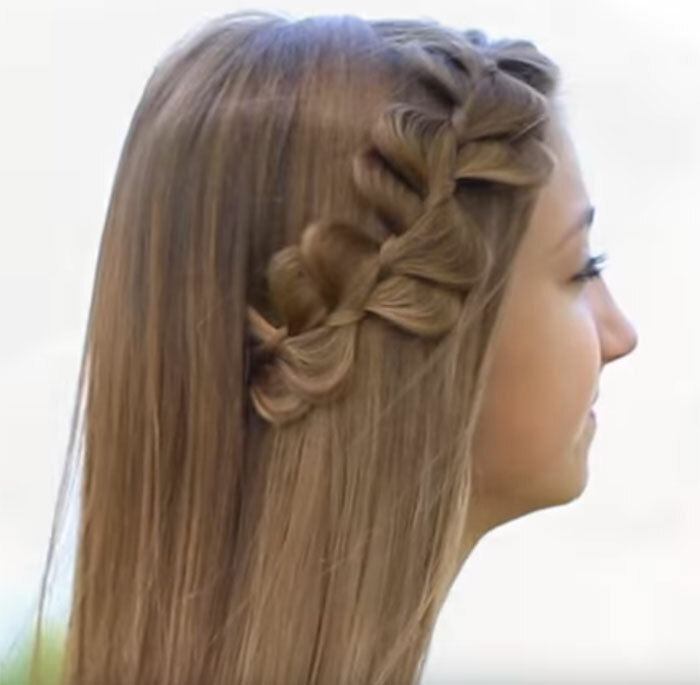 Wrap the braids around each other to achieve this unique and textured look. 8. You can spruce up a classic fishtail braid by simply loosening the braid to achieve a fuller ponytail. 9. 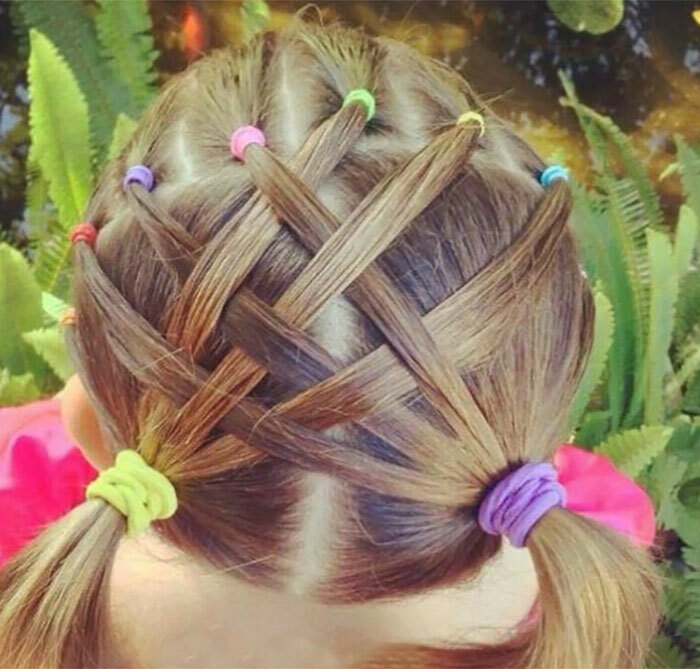 This hairstyle will definitely get you extra brownie points from your daughters friends at school. When creating two ponytails, make sure to leave out a few strands on the side to create the over the head crisscrossing effect. Then, simply turn the ponytails into regular braids and attach two colourful hair accessories to each braid. 10. This super edgy hairstyle is achieved by splitting the hair into two sections. With the top section, create a braid that stems from the scalp and downward. 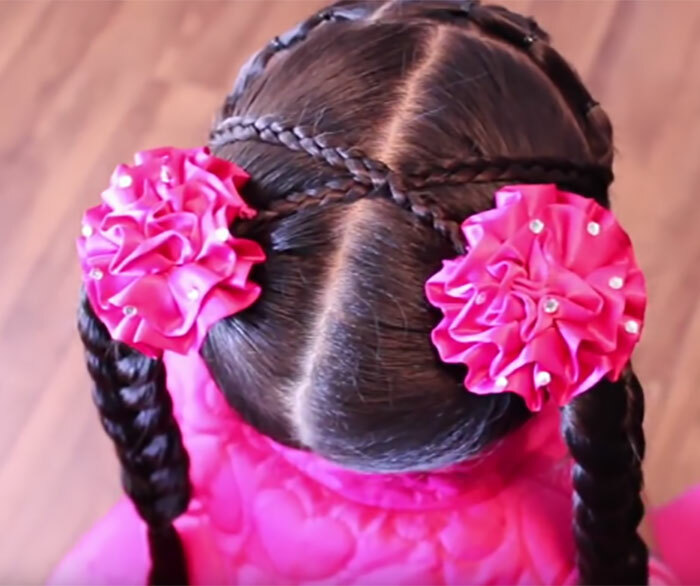 Then, attach the braid to the second ponytail with a few elastics to create the bubbly effect. Loosen up the lower ponytail to achieve this gorgeous contrast. 11. This is a simple yet, beautiful style that looks like a row of flower petals for a stunning headband. To create this look, simply make a side braid and loosen each alternating strand. 12. 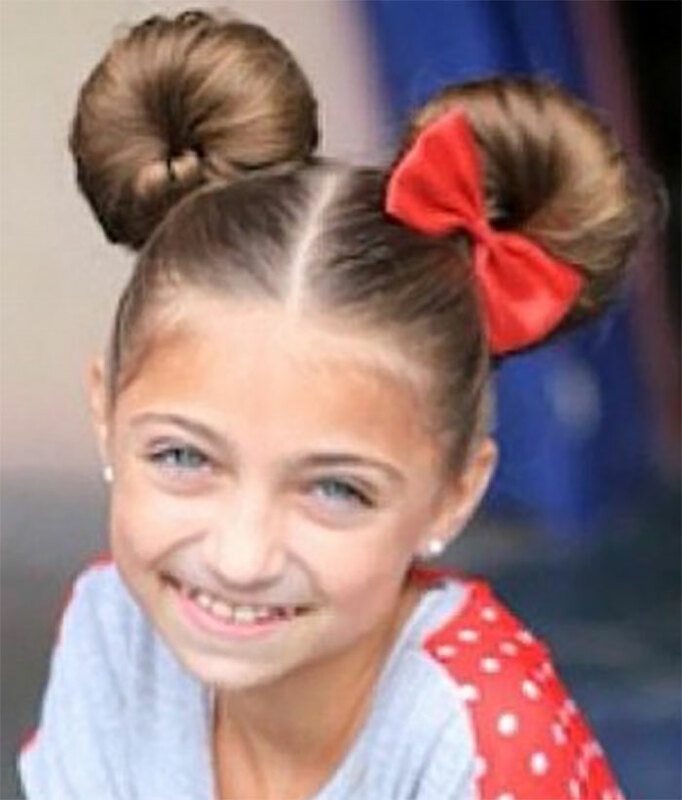 Do pull of this adorably cute minnie mouse look, simply make two ponytails at the crown of the head and use the donut technique to perfect these ear-like buns.